In August 2013, we held our introductory meeting and things took off from there. 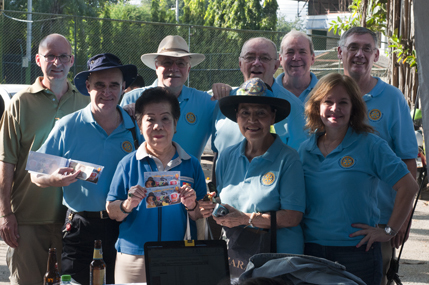 We received our charter effective 21 February 2014, marking the official birth of the Chiang Mai International Rotary Club. Since then we have gone through some interesting changes, learned many lessons and most importantly done a lot of good! Please join us as we celebrate our first year! On Saturday 21 February 2014 we will have an informal birthday party at Tawan's Corner Bar & Bistro. We'll begin around 7:00 p.m. We are hoping to have one pleasant surprise event which will take a few minutes. Other than that the evening is going to be very unstructured. Please know that food and drinks can be ordered and will be served. Each member and guest is responsible for his / her own bill.